Ben Garland update. 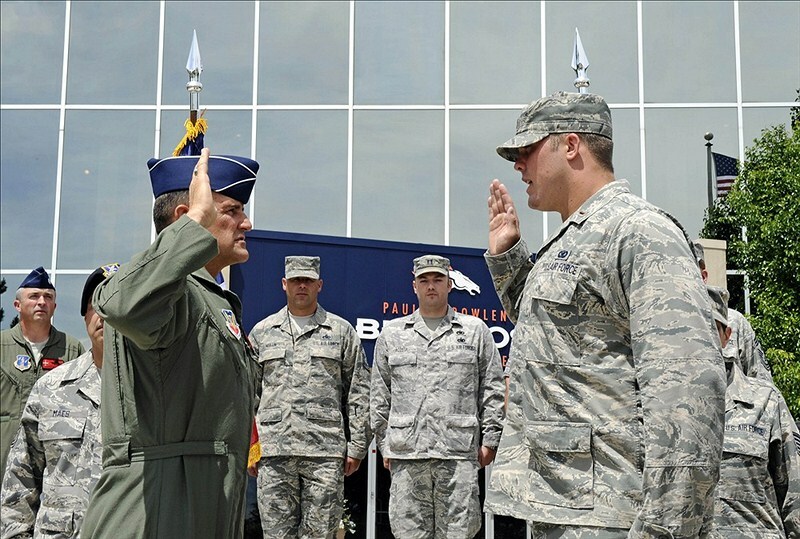 We promised we’d keep you informed, and here’s the latest: Garland, a first lieutenant, ditched his Denver Broncos uniform Wednesday for some traditional cammies, being sworn in as a member of the Colorado Air National Guard in front of the team’s training facility. Get the whole story from our good friends at USA Today here. Garland will do public relations work for the Guard while trying to make the Broncos as a defensive lineman. J.J. Avila update. In April, we told you the ex-Naval Academy hoopster and 2011 Patriot League Rookie of the Year was headed to Richmond. But first, a detour: The Richmond Times-Dispatch reports Avila will spend a year at a Texas community college — one without a basketball team — to get his academics in order before joining the Spiders. Avila was suspended by the academy in early February and resigned shortly thereafter. Track Army baseball. The Black Knights (41-13) begin NCAA tournament play tomorrow at 4 p.m. against Virginia, the top seed in their four-team, double-elimination regional played in Charlottesville, Va. Click here for a cool interactive bracket, or follow the Army athletics Twitter feed for all the latest. Quick hits. Big East TV contract a bonanza for Navy? Maybe not. Researchers studying military headgear look to prep football helmets for answers. Some late changes to the big UFC on Fox 4 card, which will feature former Marine Brian Stann.